For you food wonks, here’s a video of banh cuon. After all the interest in the rice paper video, I thought it’d be fun to show a totally different set-up. Here, two guys are working together in a very closely synchronized switch-off. Watch how they pass off the bamboo stick! Banh cuon is a popular dish for breakfast in Vietnam, and all the best places will sell out by 8:00 am. The dish is related to banh trang, or rice paper, but it’s spread a little thicker and served as a fresh noodle. Some restaurants will grind glutinous rice in with their batter to add body and bite, or perhaps use tapioca or potato starch. Of course, the exact ratio will be a closely guarded secret. Before machine-made banh trang (rice paper) became popular, my aunt, Di Yen, and cousin, Trinh, produced rice paper in Viet Nam by hand and sold it locally in their town just north of Saigon. On my last visit back, I asked them to show me how they used to make it. They prepared a special batch from stone-ground, whole-grain red rice. Rice bran, stored in that big metal drum, drops down to fuel an earthen stove. Gently steaming water rises through tightly stretched cloth and cooks the very thin, smooth rice batter in seconds. My cousin, who hasn’t done this for a year, still remembers the rhythmic choreography of stirring, ladling, spreading, rolling and unrolling. Of course, she makes it all look so easy! Each mat, as it’s covered by still warm and wet banh trang, is arranged in the sun so that the rice paper can dry completely into the delicate, translucent rounds that we love so much. Look closely and you might notice that the roller is covered with the leg fabric from an old pair of jeans. They were pretty damn good, I must say. Toasting one right now…. 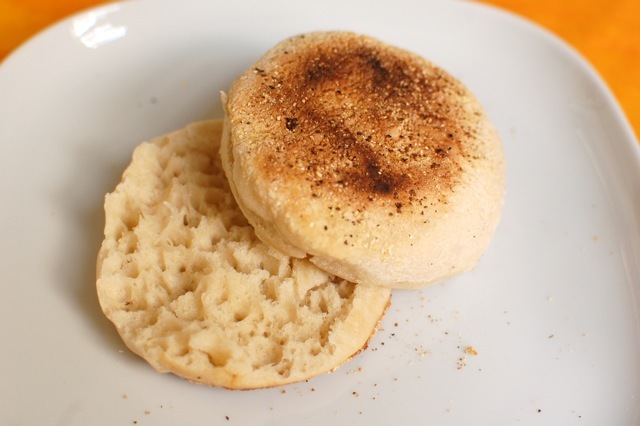 Here’s a recipe, or as close as possible since I was free-styling it that morning. The night before, take out of the fridge your sourdough starter (see my feature “Taming the Wild Yeast“). Transfer to a clean bowl and mix in the hootch (dark liquid on top) if you like more assertive sourdough flavors; pour off the hootch if you don’t. You’ll need about 1 cup of starter. Stir in about 2 cups of unbleached AP flour and 1 cup tepid, filtered water. Covered with a cloth and let ferment overnight. “Kaffir” was, historically, a word used in South Africa to refer to dark-skinned peoples. It differentiated the SE Asian limes grown in Indonesia (where the native Austronesian tribes had dark skin and curly hair) from the juicy and smooth-skinned Persian limes familiar to Europeans. It’s now considered extremely derogatory, a term that is outlawed, in fact, in several other countries. Users can be prosecuted in court for what we know here as hate speech. 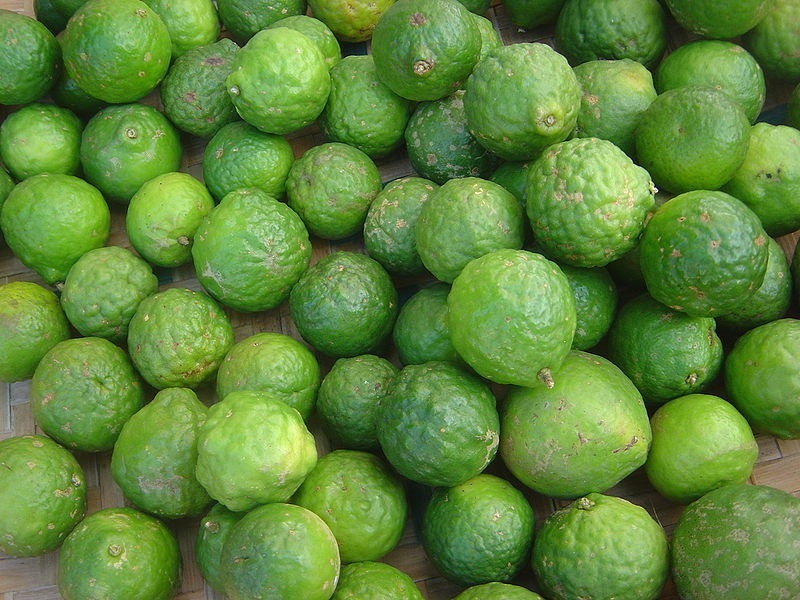 I try to encourage my colleagues and students to use the name “makrut” or “magrut” lime. Obviously, we still have a ways to go, as our whole food industry in the west has absorbed the term without knowing its political background. I often put it in parenthesis, to clarify for readers, but have been working hard to weed it from our cookbooks. And, as you can tell, continue my Quixotic, linguistic crusade…. …how [does] one uses a wok in the contemporary kitchen (its called the science of the wok). I’m wondering, do you use a wok or a ring for your burner? I read a review on cooks illustrated that basically concluded that the wok doesn’t make sense on a standard (flat) kitchen burner. The shape seems more to me about the distribution of fats and the ability to have different zones of heat. Oh goodness, I’m not sure I want to take on the folks over at Cooks Illustrated! For all his curmudgeonly geekiness, Christopher Kimball is very thorough in his obsessive testing and retesting.